The FOX Network Upfront Event (among all the major networks and cable) took place this past week in NYC. Check out the synopsis and trailers below. What’s the fastest way to put the brakes on a cruise-controlled bachelor lifestyle? Fatherhood? Guess again. Television icon John Stamos (“Full House,” “ER”) stars in a new comedy about the ultimate bachelor who discovers he’s not only a father, but a grandfather. Successful restaurateur and man-about-town JIMMY MARTINO (Stamos) is used to being the most suave, most handsome and most single person in the room. All that changes with the surprise appearance of Jimmy’s adult son, GERALD (Josh Peck, THE MINDY PROJECT), and his baby daughter, EDIE. Now Jimmy has to unlearn a lifetime of blissful selfishness and grapple with the fact that he went straight from single to grandfather in six seconds flat. Keeping tabs on Jimmy is Gerald’s mother and Jimmy’s former girlfriend, rocker chick-turned-mother SARA (Paget Brewster, “Criminal Minds,” “Community”). Equally concerned about how Jimmy will manage these new developments is Jimmy’s restaurant family, especially assistant manager ANNELISE (Kelly Jenrette, “Audrey”) and chef KEN (Ravi Patel, “Super Fun Night”). Can Jimmy teach Gerald to be a little more like him in order to win the affection of Edie’s hot mess of a mom, VANESSA (Christina Milian, FAMILY GUY, “Baggage Claim”)? Will Jimmy and Sara fall for each other all over again, even though she’s the one thing he never dates – a woman his own age? And who’s higher maintenance, Jimmy or the baby? 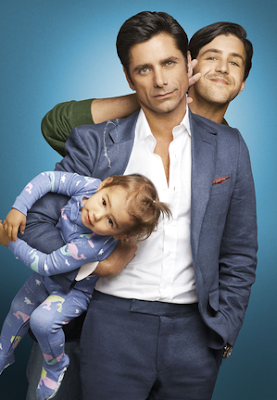 GRANDFATHERED is an unconventional, sophisticated comedy about coming of age – at any age. 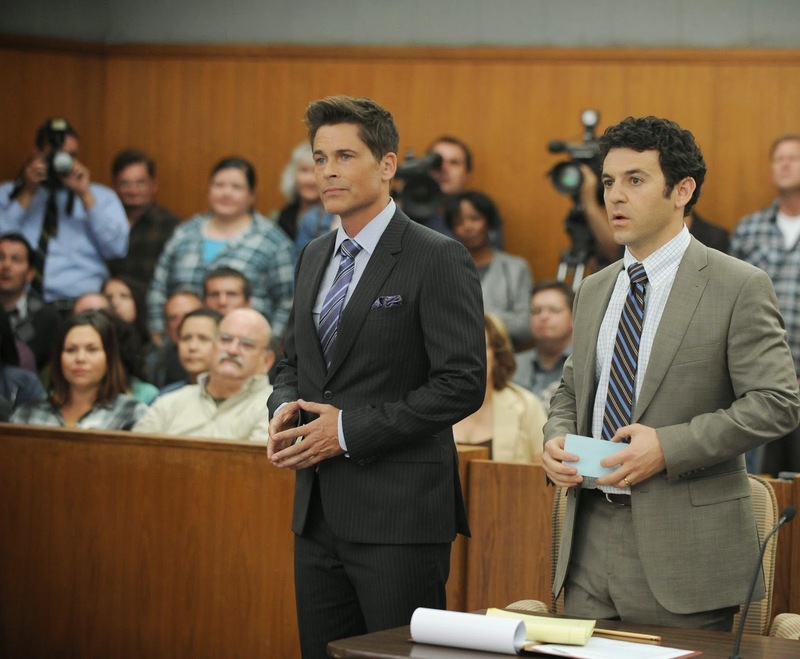 How many TV lawyers does it take to try a real-life case in a real-life courtroom? One, and his name is THE GRINDER. 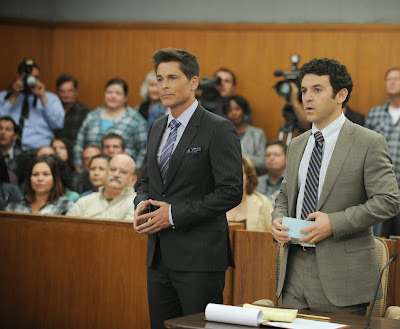 Starring Emmy Award nominee Rob Lowe (“Parks and Recreation,” “The West Wing”), THE GRINDER is a new comedy about a famous TV lawyer at a crossroads. When his legal series ends, he decides to move back home and join his family’s real law firm – despite having no formal education, no bar certification, no license to practice and no experience in an actual courtroom. DEAN SANDERSON (Lowe) spent eight seasons playing the title role on the hit legal drama “The Grinder.” Now he’s moving back to his hometown of Boise, Idaho, where his brother, STEWART (Emmy Award and Golden Globe Award nominee Fred Savage, “The Wonder Years”), is a real-life attorney who is poised to take over the family law firm. 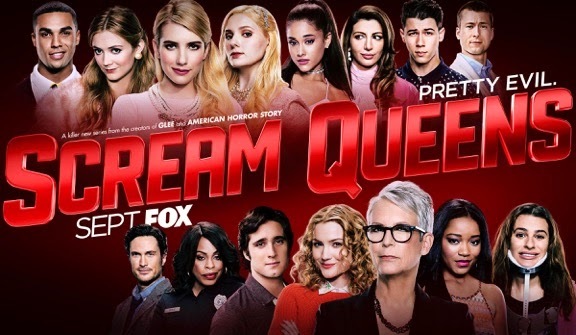 It doesn’t take long for Dean to start injecting his TV drama into every aspect of Stewart’s life, both in the courtroom and at home, impacting Stewart’s wife – and Dean’s high school sweetheart – DEBBIE (Mary Elizabeth Ellis, NEW GIRL, “It’s Always Sunny in Philadelphia”); their two kids, 15-year-old LIZZIE (Hana Hayes, “Bucket and Skinner’s Epic Adventures”) and 13-year-old ETHAN (Connor Kalopsis, “Days Of Our Lives”); and Dean and Stewart’s father, the law firm’s head, DEAN SR. (William Devane, “24: Live Another Day”). Dean and Stewart don’t see to eye to eye, but when they stop arguing with each other and start arguing together in court…they make a formidable team. THE GRINDER is the story of two brothers, who took different paths, but meet again in the middle – for justice…sort of. The future is coming. 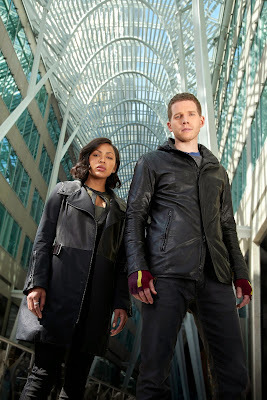 Based on the international blockbuster film by executive producer Steven Spielberg and the first of his films to be adapted for television, MINORITY REPORT follows the unlikely partnership between a man haunted by the future and a cop haunted by her past, as they race to stop the worst crimes of the year 2065 before they happen. Set in Washington, D.C., it is 10 years after the demise of Precrime, a law enforcement agency tasked with identifying and eliminating criminals…before their crimes were committed. To carry out this brand of justice, the agency used three precogs – “precognitives” Dash, Arthur and Agatha – who were able to see the future. Now, in 2065, crime-solving is different, and justice leans more on sophisticated and trusted technology than on the instincts of the precogs. Precog DASH (Stark Sands, “Inside Llewyn Davis”) – driven by his terrifying, but fragmented visions – now has returned in secret to help a brash, but shrewd police detective, LARA VEGA (Meagan Good, “Think Like A Man” franchise, “Californication”), attempt to stop the murders that he predicts. As they navigate this future America, they will search for Dash’s missing twin brother, ARTHUR, and elude others who will stop at nothing to exploit their precog abilities. Also complicating matters is Dash and Arthur’s ingenious, but reclusive, foster sister, AGATHA (Laura Regan, “Mad Men,” “Unbreakable”), who just wants Dash to return home. A drama of crime and conspiracy, this is a timeless story of connection: two lost souls, Dash and Vega, who find friendship, purpose and redemption in each other. 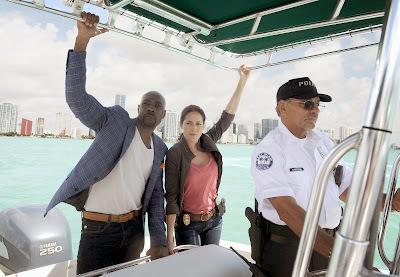 Meet the Beethoven of private pathologists…From executive producer Todd Harthan (“Psych,” “Dominion”), ROSEWOOD is the story of DR. BEAUMONT ROSEWOOD, JR. (Morris Chestnut, “Nurse Jackie,” “The Best Man” franchise), the most brilliant private pathologist in Miami. Using his wildly sophisticated autopsy lab, he performs for-hire autopsies to uncover clues that the Miami PD can’t see. His new partner-in-crime is Detective VILLA (Jaina Lee Ortiz, “The After”), a Miami PD detective with attitude and demons to spare. While she’s impressed by Rosewood’s incredible abilities, his constant optimism is more annoying than it is infectious. But somehow, week-to-week, this unlikely tag team will solve many crimes together. Joining Rosewood in his practice are his sister and “toxicology queen,” PIPPY (Gabrielle Dennis, “The Game”); and DNA specialist TARA MILLY IZIKOFF aka TMI (Anna Konkle, “Man Seeking Woman,” “Betas”), who is Pippy’s fiancée. Plagued with his own set of medical ailments, Rosewood sees that every moment of life should be embraced and lived to the fullest. And those moments of victims’ lives that will never be are what drive him the most. Thirteen years after the original series run, the next mind-bending chapter of THE X-FILES will be a thrilling, six-episode event series helmed by creator/executive producer Chris Carter, with stars David Duchovny and Gillian Anderson re-inhabiting their roles as iconic FBI Agents FOX MULDER and DANA SCULLY. This marks the momentous return of the Emmy- and Golden Globe Award-winning pop culture phenomenon, which remains one of the longest-running sci-fi series in network television history. Production on THE X-FILES event series is set to begin in summer 2015. THE X-FILES originally premiered in September 1993. Over the course of its nine-season run, the influential series went from breakout sci-fi favorite to massive global hit, and became one of the most successful television dramas of all time. The show, which earned 16 Emmy Awards, five Golden Globes and a Peabody Award, follows FBI special agents Scully (Anderson) and Mulder (Duchovny), as they investigate unexplained cases – “X-Files” – for which the only answers involve paranormal phenomena. Wouldn’t it be great to have a friend who has made all the mistakes in life there are to make, and then tells you exactly where he went wrong, so you don’t have to? THE GUIDE TO SURVIVING LIFE is a new comedy that explores what we all go through on our way to figuring out what life is all about. 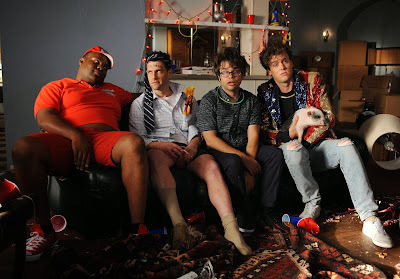 COOPER BARRETT (Jack Cutmore-Scott, “Kingsman: The Secret Service”) still doesn’t have the job he wants; he’s accidently fallen in love with his across-the-hall neighbor, KELLY BISHOP (Meaghan Rath, “Being Human”); one of his roommates, NEAL (Charlie Saxton, “Betas,” “Hung”), just can’t seem to dump his bodybuilder girlfriend; his other roommate, BARRY (James Earl, “Ground Floor,” GLEE), is a “loveable jackass” who can’t stop getting into trouble; and his 40-year-old-brother, JOSH (Justin Bartha, “The New Normal,” “The Hangover” franchise), a married father of two, is constantly popping in to come hang with the fellas. The one thing they do have is each other. As Cooper struggles to survive each of life’s many challenges – a night in jail, an inappropriate text he never should have sent, an ill-advised household pet – he will guide us through the often-messy, always-hilarious ordeal, so that our lives don’t have to be nearly the entertaining disaster that Cooper’s is turning out to be. 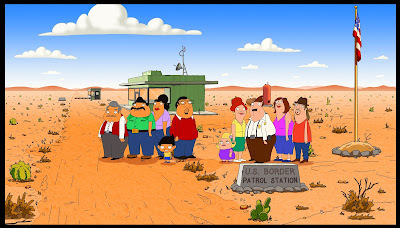 From FAMILY GUY’s Mark Hentemann comes BORDERTOWN, a new animated comedy about two families living in a Southwest desert town on the U.S. - Mexico border. The series takes a satirical look at the cultural shifts occurring in America, where the U.S. Census forecasts that by 2017, ethnic minorities will become the majority. Set against this increasingly diverse backdrop, the comedy explores family, politics and everything in between with a cross-cultural wink. BORDERTOWN centers on two clans: the Buckwalds and the Gonzalezes. BUD BUCKWALD (Hank Azaria, THE SIMPSONS) is a married father of three and a Border Patrol agent who is just a tad behind the times and feels slightly threatened by the cultural changes transforming his neighborhood. He lives next door to ERNESTO GONZALEZ (Nicholas Gonzalez, SLEEPY HOLLOW), an ambitious family man, who has been in the country less than 10 years, but is already doing better than Bud – which, it turns out, is a bit of an issue for Bud. Bud is married to JANICE BUCKWALD (Alex Borstein, FAMILY GUY), both the wisest and most oblivious member of the family. The Buckwald kids include BECKY (Borstein), a socially awkward, big-boned geek; SANFORD (Judah Friedlander, “30 Rock”), a loser who thinks he’s a player; and GERT (Missi Pyle, “The Exes,” “Galaxy Quest”), a beauty pageant-obsessed five-year-old with a pet pig. Meanwhile, living the American Dream next door are the Gonzalezes, including MARIA (Stephanie Escajeda, “100 Things To Do Before High School”), Ernesto’s no-nonsense wife; their son, RUIZ (guest voice Efren Ramirez, “Napoleon Dynamite”); and their 21-year-old nephew, J.C. (Gonzalez), a graduate student who is engaged to Becky and frequently butts heads with Bud. As Bud and Ernesto’s paths begin to cross, their two families soon become bound by romance, conflict and, perhaps most importantly, friendship – a word that means the same, no matter what side of the border you’re from. What would you do with a second chance? From executive producer/writer Rand Ravich (“Life,” “Crisis”) and executive producer Howard Gordon (“Homeland,” “24”) comes THE FRANKENSTEIN CODE, a modern reimagining of the Mary Shelley classic, about a man brought back to life by two scientists playing god. Seventy-five-year-old JIMMY PRITCHARD (guest star Philip Baker Hall, “Modern Family,” “Magnolia”) is a shell of his former self. A drinker, a womanizer and a father who always put work before family, Pritchard was forced to resign as L.A. County Sheriff for corrupt conduct more than a decade ago. Now, some 15 unkind years later, he is killed when he stumbles upon a robbery at the home of FBI Agent DUVAL PRITCHARD (Tim DeKay, “White Collar”), one of his three children. But death is surprisingly short for Jimmy, who is brought back to life by billionaire tech-genius twins MARY GOODWIN (Dilshad Vadsaria, “Revenge”) and her brother, OTTO (Adhir Kalyan, “Rules of Engagement”), founders of the social networking empire, Lookinglass. 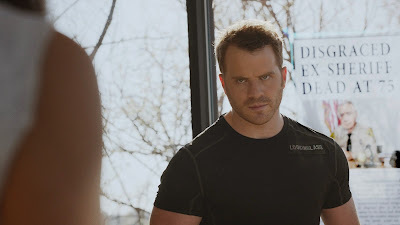 Resurrected as a younger version of himself, with physical abilities of which he never dreamed, a re-animated Pritchard (Rob Kazinsky, “True Blood”) is given a second chance at life. What will he do with it? Will he seek vengeance against those who killed him? Will he try to repair the damage he did to his family? Will he embrace a new sense of purpose or fall prey to old temptations? The Devil has come to Los Angeles…Based upon the characters created by Neil Gaiman, Sam Kieth and Mike Dringenberg for DC Entertainment’s Vertigo imprint, LUCIFER is the story of the original fallen angel. 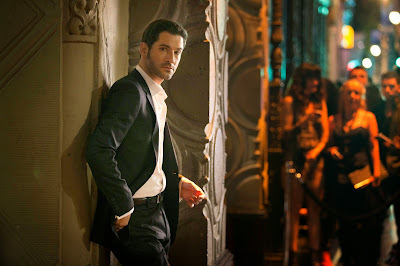 Bored and unhappy as the Lord of Hell, LUCIFER MORNINGSTAR (Tom Ellis, “Merlin”) has abandoned his throne and retired to L.A., where he owns Lux, an upscale nightclub. Charming, charismatic and devilishly handsome, Lucifer is enjoying his retirement, indulging in a few of his favorite things – wine, women and song – when a beautiful pop star is brutally murdered outside of Lux. For the first time in roughly 10 billion years, he feels something awaken deep within him as a result of this murder. Compassion? Sympathy? The very thought disturbs him – as well as his best friend and confidante, MAZIKEEN aka MAZE (Lesley-Ann Brandt, “The Librarians”), a fierce demon in the form of a beautiful young woman. The murder attracts the attention of LAPD homicide detective CHLOE DANCER (Lauren German, “Chicago Fire”), who initially is dismissive of Lucifer. But she becomes intrigued by his talent for drawing out people’s secrets and his desire to dispense justice, doling out punishment to those who deserve it. As they work together to solve the pop star’s murder, Lucifer is struck by Chloe’s inherent goodness. Accustomed to dealing with the absolute worst of humanity, Lucifer is intrigued by Chloe’s apparent purity and begins to wonder if there’s hope for his own soul yet. At the same time, God’s emissary, the angel AMENADIEL (DB Woodside, “Suits,” “24”), has been sent to Los Angeles to convince Lucifer to return to the underworld…can the Devil incarnate be tempted toward the side of Good, or will his original calling pull him back toward Evil? Which shows are you excited for? Comment below.